We have various personalised decor products that we can create and supply for your function and these are products that we create in house. 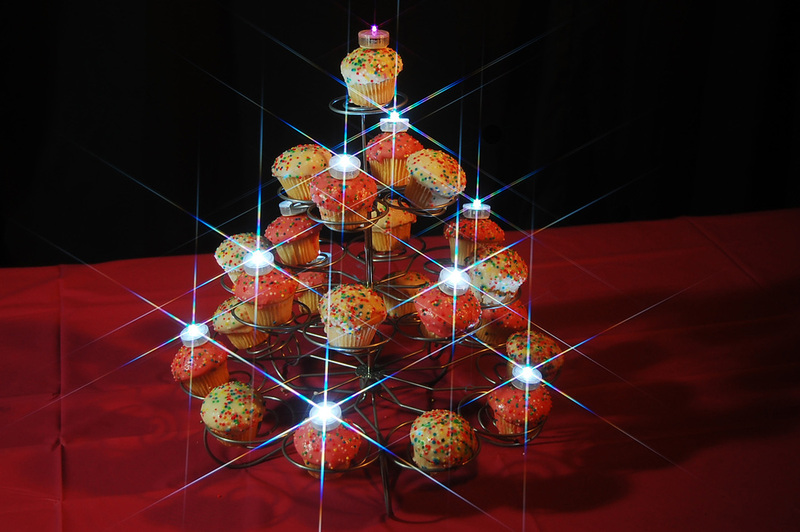 Scattered on the table or used as decorative lighting, these are Personalised Party Dots !. Mini l.e.d. 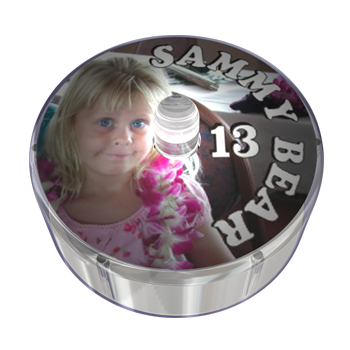 lights APPROX 25mm in diameter, we can personalise them with the name and occasion. 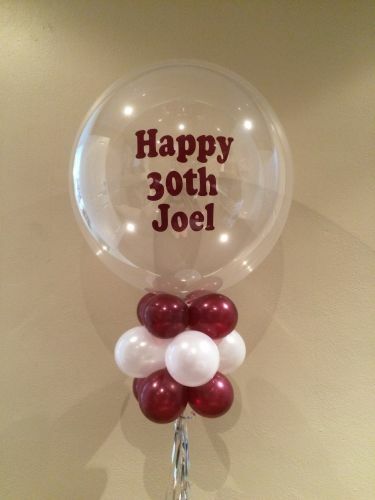 These are unique and a great talking point for any party. 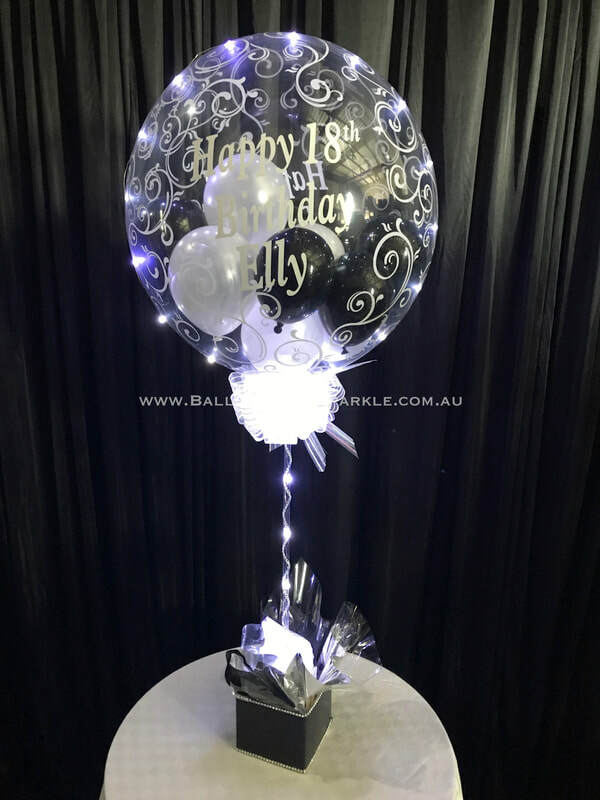 Party Dots® can be custom printed to suit any occasion, your name, your occasion just adds that personalised lighted touch. Plus $20 setup / artwork. 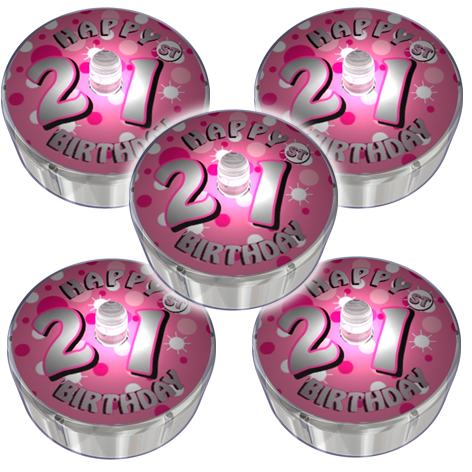 We can even add photos to your Party Dots®. A cute photo from when she was younger for example plus the occasions on the label. Priced from $2 ea - min only 20. 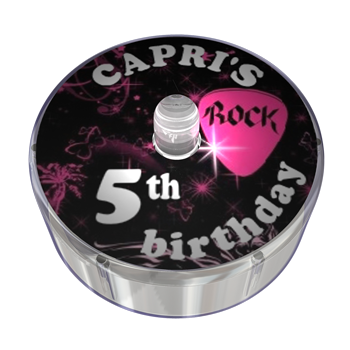 We also have every occasion covered, so if you do not want them personalised but you do want your Party Dots themed for your occasion. only $2 each - NO SETUP. We have every occasion covered. Here you can see the size of Party Dots®. 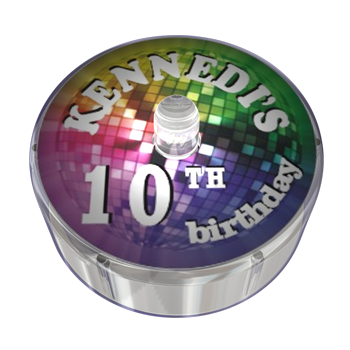 They are about the diameter of a 10c piece, they have an adhesive backing so you can stick them almost anywhere or just scatter them on the table, they are super bright and lots of fun. 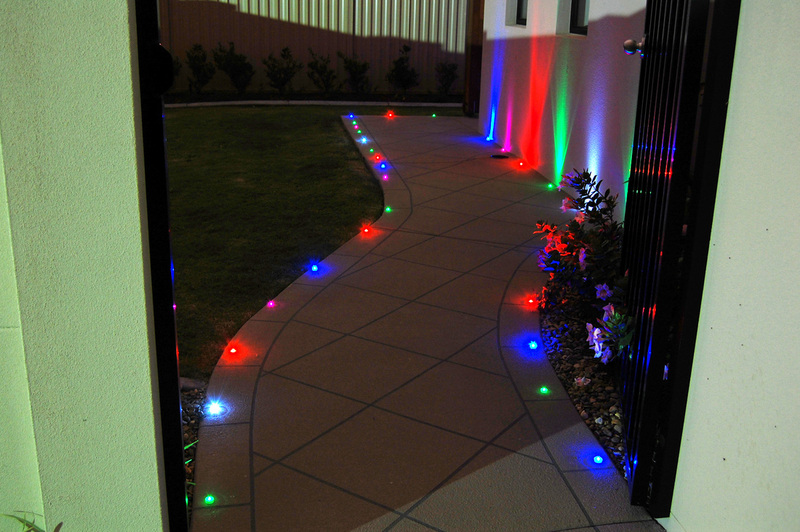 Party Dots® make great party lighting, great for pathways, entrances, to line a dance floor, you can create a lighting effect literally anywhere, no cords or leads as the batteries are built in and they will last well beyond the night of the party. 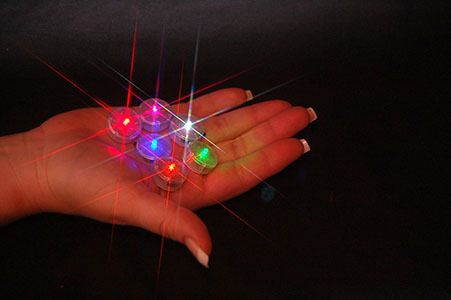 Here is a novel application for Party Dots® use them as candles ! You don't blow them out, you take them off and play with them, kids love them, adults love them and they are completely safe, much safer than candles and brighter. 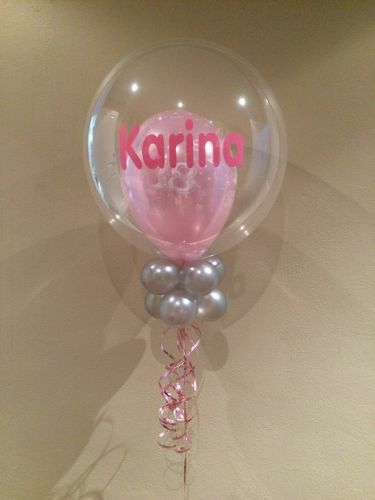 Helium Filled Personalised Sparkle Bubbles from $60 each. 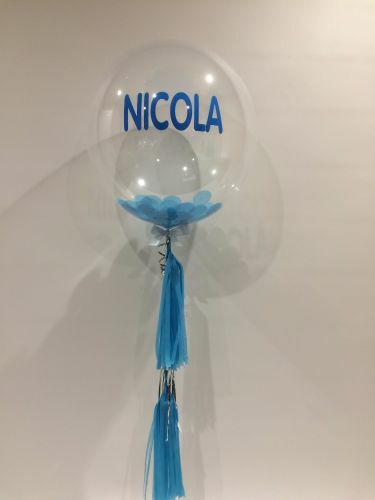 These are personalised Bubble Balloons , they are latex balloons, they are not foil balloons they are a special polymer material, they are perfectly crystal clear and we can put balloons on the inside to colour theme them to suit your event. 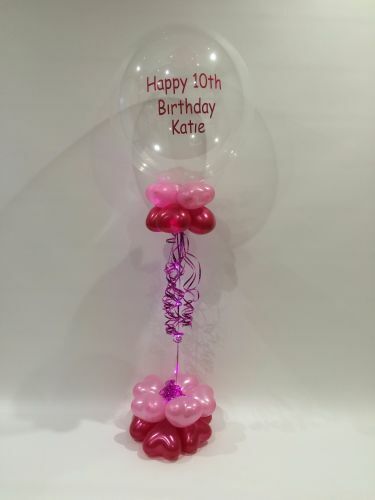 Then we can add text on the outside of the bubble balloon to personalise it for your occasion. 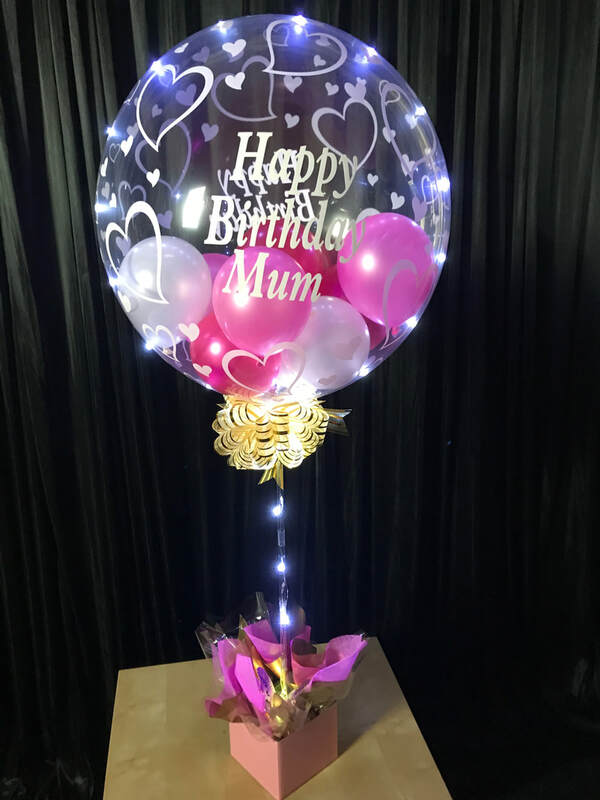 Happy birthday with the persons name, convey a special message, great for Corporate events, we could even create each balloon with a different name or saying for each table, limited by your imagination, of course we always "Sparkle" the bubbles which brings them to life. Priced from only $60 each and of course WE ADD THE "SPARKLE". 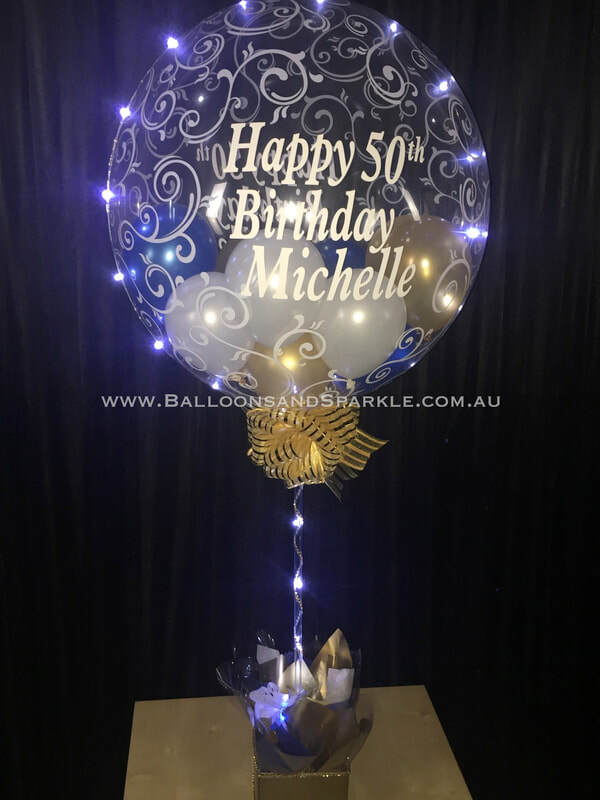 Air Filled Personalised Sparkle Halo Bubbles from $65 each.